The Film Space’s new online resource features a series of curriculum-focused and engaging classroom activities exploring different aspects of Ava DuVernay’s film Selma – in cinemas from the 6th of February. Designed primarily for students of history, English, citizenship and religious studies aged 13-18 the Selmaresource may also be used in PSHEE. Offering a range of interactivity based on the film, and with links to online archive material, the resource provides learners with an exciting opportunity to develop skills of close reading and analysis whilst finding out more about this key moment in the US civil rights movement. Activities are designed to build students’ awareness of the significance of this period in history and help to develop their knowledge and understanding of how primary sources can inform contemporary filmmaking. This free online resource is now available HERE. The Winter edition of the popular TEACHING TRAILERS is available HERE. With over 2,000 users in the past month the Primary and Secondary editions feature 30 trailers for current and forthcoming cinema releases. Teaching Trailers Primary is suitable for pupils aged 5-11 and relevant to English and Computing with flexible resources that have instant application in the classroom. Trailers featured in Teaching Trailers Secondary can be used as the focus of engaging, curriculum relevant activities for use in English, Media and Film Studies. Our thanks to the Film Distributors’ Association and individual film distributors for making this edition of Teaching Trailers possible. 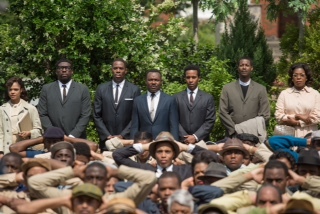 Picturehouse Education and Pathe are delighted to announce exclusive school screenings of Selma this February. The film tells the story of the historic struggle to secure voting rights for African-Americans. Schools attending will be able to see the film in the first week of release at the discounted rate of £3.50 per student. To book places for your school or college group please contact Lucy Orr on 07961 295846 or email lucy.o@picturehouses.co.uk. Alternatively you can request places online HERE.